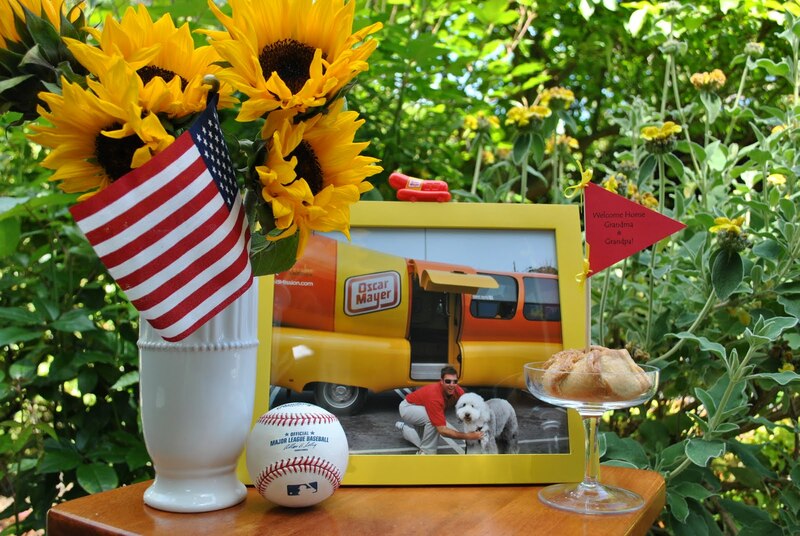 we wanted to welcome them back with an American tribute. 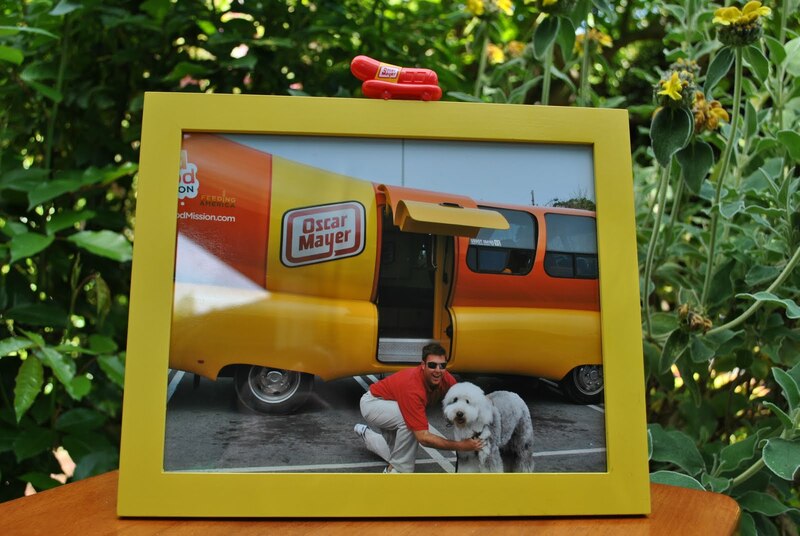 was taking her to see the Oscar Meyer Wienermobile! 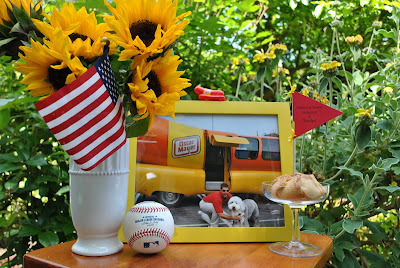 After all, what is more American than baseball, hot dogs and a little apple pie? and gluing the Wiener Whistle on the top. Welcome home Grandma and Grandpa...we missed you! Prudence said the highlight of her stay was the trip to the Wienermobile!! Oh my gosh - so funny! How adorable! I love it in that frame. Who is that with PRU?